Cick on Menu item and select Tools. 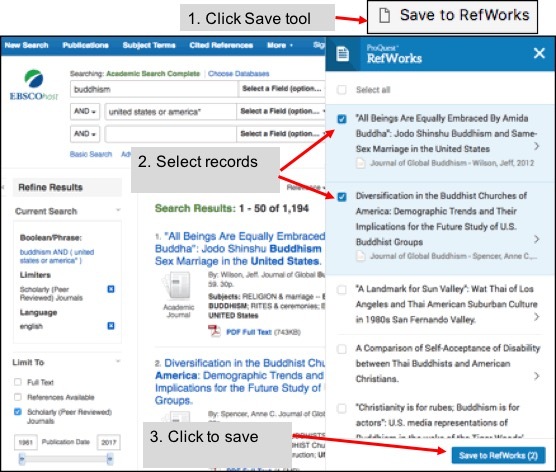 Install Save to Refworks in your browser toolbar. Do a search in a database or on the web. Click Save to Refworks button in toolbar. Click (the other) Save to Refworks button. 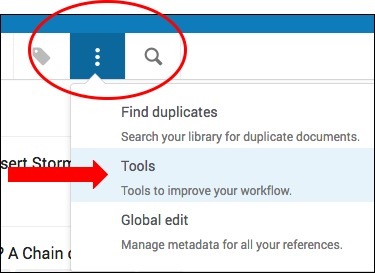 Click on Menu Item, then Tools option. Save the Save to Refworks button to your bookmarks toobar.